Zimmer Holdings, Inc. is currently defending itself in two of the first federal hip implant cases to go to trial. While Zimmer has had some success in state courts over allegations that its Durom Cup is defective, the outcomes of the two federal trials could set important precedents for the 400 or so additional hip implant cases pending against Zimmer in federal courts. The federal cases have been consolidated in multidistrict litigation (MDL) in New Jersey under U.S. District Judge Susan Wigenton (MDL No. 2158) to facilitate the pre-trial proceedings. The first two federal hip implant cases against Zimmer are now being tried in NJ and CA, our Portland hip implant lawyers explain. Here are the details of these cases. Contact us if you’ve been hurt by a defective medical device. The first case, which got underway on May 5th, has been filed on behalf of a 65-year-old schoolteacher who reportedly had a Durom Cup implanted in 2006. As the complaint for this case explains, the plaintiff developed serious hip implant complications after implantation, requiring her to undergo an invasive and risky revision surgery in 2009. The first phase will determine whether the plaintiff filed her case within Louisiana’s statute of limitations (as the plaintiff is from Louisiana). The second phase will determine liability (if the filing is determined to be within the statute of limitations). These two phases are expected to last about a month. The second federal hip implant trial, which got underway on May 19th in a Los Angeles Superior Court, has been filed on behalf of a man who reportedly had a Durom Cup implanted in 2007, after which it was removed due to the plaintiff developing cup-related complications. As many remain focused on the outcomes of the first two federal hip implant cases against Zimmer to go to trial, some are speculating that Zimmer may follow in the footsteps of DePuy Orthopaedics Inc. and Stryker Corp., two other prominent hip implant manufacturers that have been sued over their allegedly defective hip devices. In fact, while DePuy resolved its hip implant cases with a $2.5 billion settlement, Stryker has reportedly settled its hip implant litigation with a $1 billion settlement. As more news about these Zimmer cases becomes available, we’ll report the latest updates to you here in our blog. In the meantime, share your thoughts on these cases with us on Facebook & Google+. Have you been injured after use of a defective hip implant or any dangerous medical device? If so, you can rely on the Portland personal injury lawyers at the Savage Law Firm for experienced help and aggressive legal advocacy. For more than three decades, our lawyers have been devoted to providing each of our clients with personal attention, respect and the highest quality legal services. 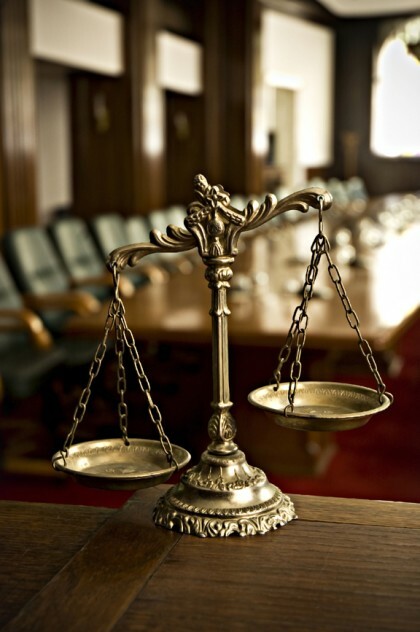 Let us put our experience and skills to work helping you obtain the justice and compensation you likely deserve.